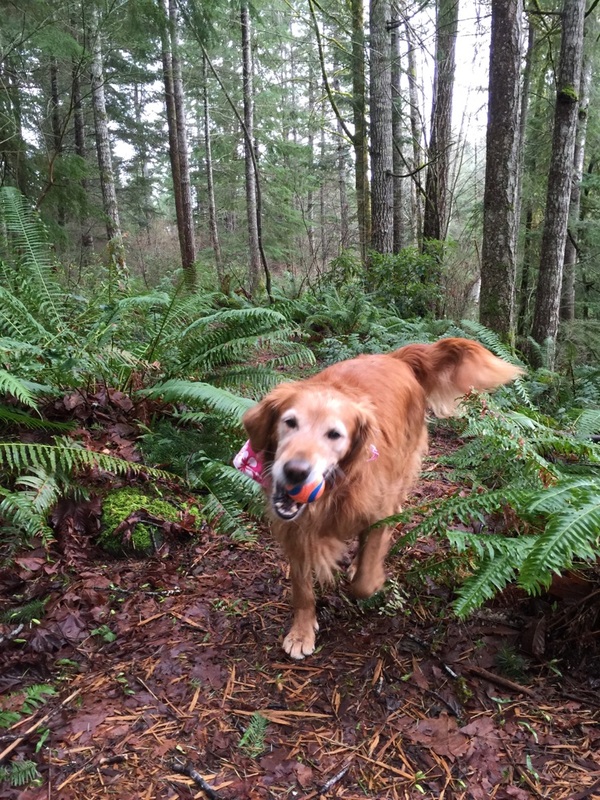 Ball for ball-obsessed retriever? Check. Swimsuit for owner of ball-obsessed retriever? Check. Old, dirty, smelly but super-reliable and recently serviced dog-mobile CRV? Check. Laptop? Not on your life. Good to go. 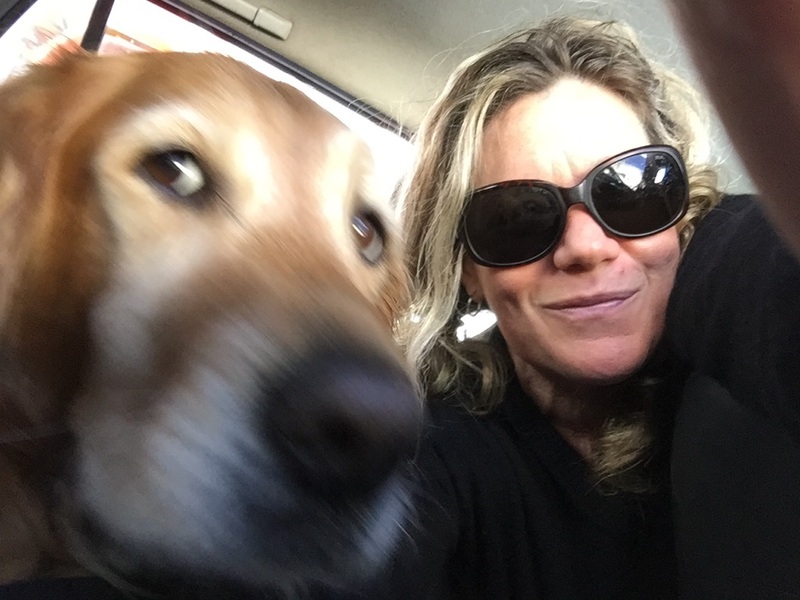 Ahhhh…there’s nothing quite like hitting the open road with a canine companion. 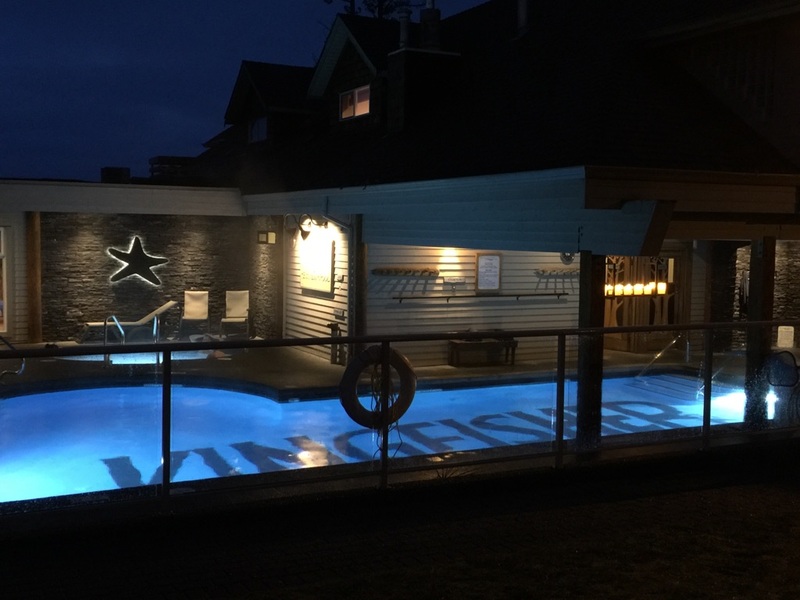 A few weeks ago, Sadie and I headed up-island to the lovely Kingfisher Resort & Spa in Courtenay, BC for a girl’s getaway. We had a blast! Seriously. Is this what we’ve come to? Sigh…it is what it is. And I am pleased to report that, other than posting photos on social media, I did succeed at unplugging from technology for 3 whole days…and loved every second of it. 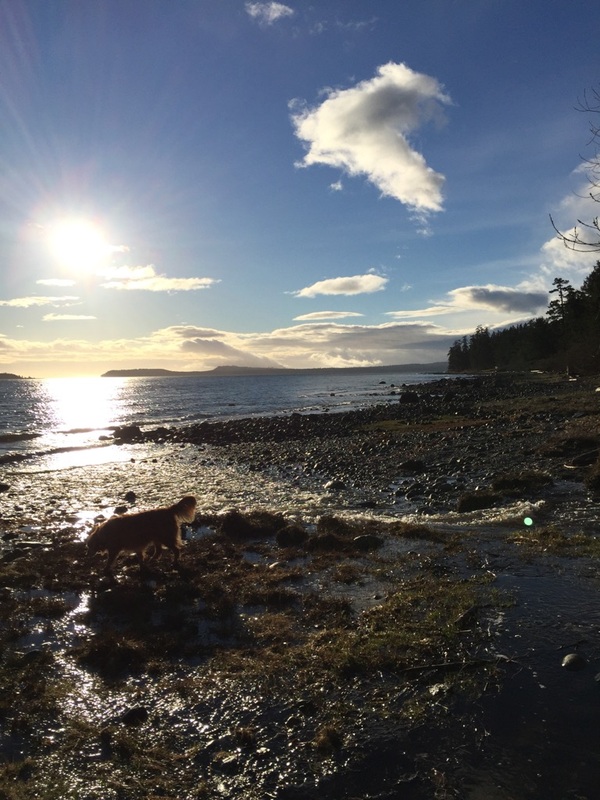 Unfortunately, shortly after this photo was taken, Sadie LOST her beloved ball in the river – which is when I realized I did not have a suitable (as in Sadie-approved) back-up ball for my ball-obsessed retriever. So in essence, Sadie (through no choice of her own) unplugged from her addiction, too. 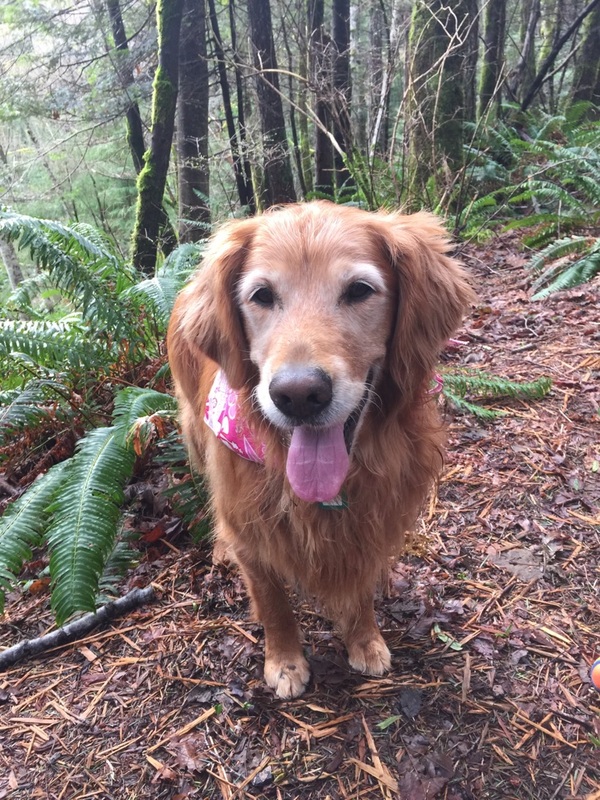 Sadie survived – but I wouldn’t say she thrived. 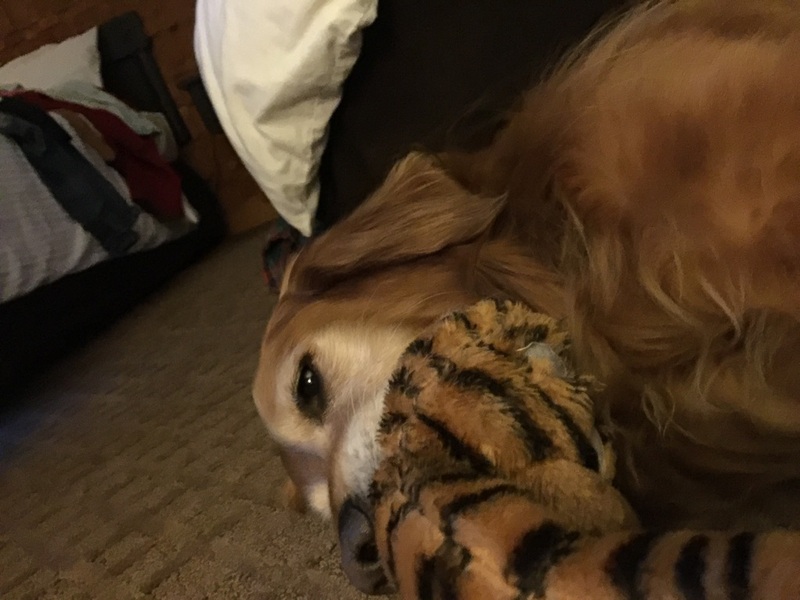 A tiger stuffie is no substitute for a chuck-it ball. 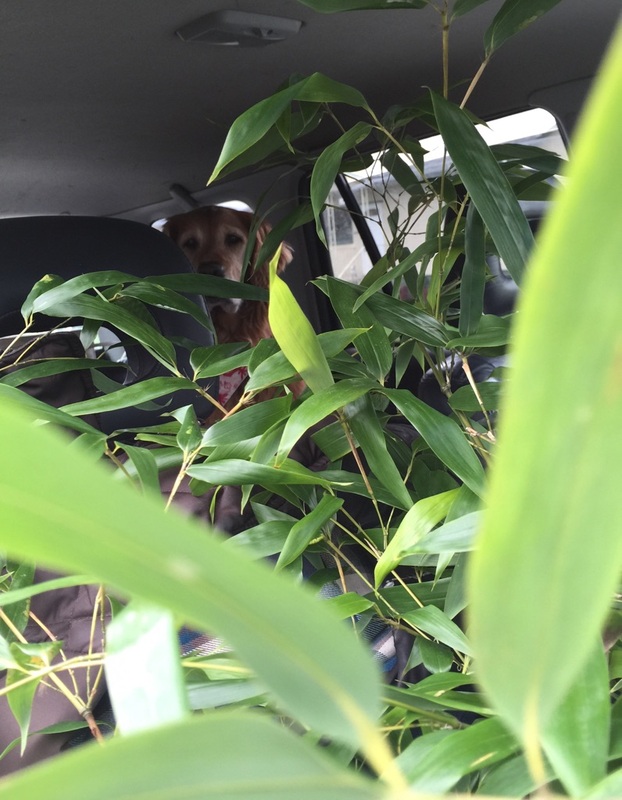 And then, to add insult to injury, Sadie had to take the backseat to a hitchhiking bamboo plant we picked up on the way home. Do you have a road trip story (that you’re allowed to share)? If so, I’d love to hear it! Maryanne Pope is the author of A Widow’s Awakening, the playwright of Saviour and the screenwriter of God’s Country. Maryanne is the CEO of Pink Gazelle Productions and the Chair of the John Petropoulos Memorial Fund. If you would like to receive Maryanne’s weekly blog, please sign up here. To subscribe to The Watering Hole e-zine (goes out about every 6 weeks), you can sign up here. I used to have a fetch crazy black lab that was so obsessed with fetching that he’d bring you a stick, weed, rock, whatever he could find. It didn’t matter. He just wanted to retrieve something. A frisbee was his favourite. In his younger days he’d do a little acrobatic jump to get it sooner. I miss that ole boy! He was the best dog in the world! Here’s a short, not so fun road trip I recall with Magnum. We were living in Okotoks at the time and we’re headed back to the farm in Lomond for the weekend but had to stop at the High River hospital for my ultrasound, as I was expecting my first baby, and so we took him with us. He was used to car rides so that wasn’t a big deal. Only we had ‘lost’ him for 2 days before we left. He had got out of the back yard and despite our desperate search for him were not successful. He did however show up on his own time. We were elated that he came back and so carried on with the original plan to go to the farm for the weekend. In our desperate search we had spoke to some town officials who had had a report of a black lab roaming around some dumpsters. Now Magnum had a very sensitive stomach due to having had parvo as a pup and never got scrap food and if you ever wanted to switch kinds of dog food you had to do it gradually over three days. Yep, you guessed it! He had diarrhea all over the back of the Jeep! So there I was, 3 months pregnant, going through slight morning sickness and we had no choice but to get in the vehicle with him and drive to the car wash! I remember rolling down the window and sticking my head out while we drove, probably looking much like the canine culprit. And we couldn’t even get mad at him! First off we were so happy he had come back and secondly we knew it was out of his control. That poor dog looked so sheepish when we opened that door and got hit with that wave of stench. He’d obviously tried to hold it in, but just couldn’t. Can you imagine having irritable bowel syndrome and having no where to go?!? Poor guy! Loved him to bits! Thanks for the story, Jac!